I regularly use Mizutani Haya for outer carbon, but I felt that there is considerable difficulty in control performance among the outerwear. It is supposed to be the same as Timoboru alc and Timospi as a plate, but it was hard to control. I used tenazi 05 at the fore, but I felt that the combination of this racket was a middleware, but over miss was conspicuous although it was a feature of tenazy when driving. But back is pretty good, thanks to the shape of the grip or swinging out easily, there is considerable stability compared to the fore. As a summary, I felt it was a racket that is suitable for those who frequently use technologies that used the back mainstream which is the latest mainstream. It was very easy to use where I tried with 05 in the fore and 64 in the bag. The fore is easy to do aggressive techniques such as drive, flick and smash, the bag is easy to do techniques such as block, counter, drive and chiquita, and the technique of the bag can be more various than the fore on its own The After that, it was easy to do the fine platform technology. People who are under 2 years for the first time may be a bit cumbersome. But I will get used to it soon. 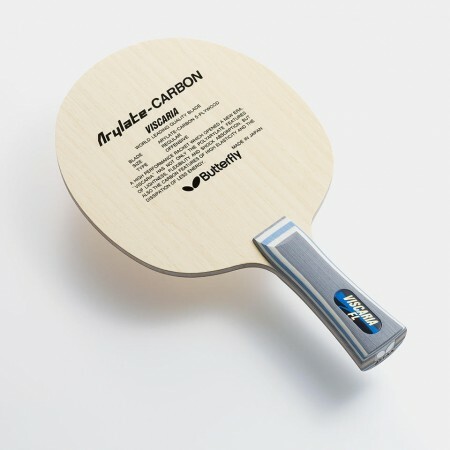 It is easy to grip with the grip that the back is easy to swing, and it is very easy to fly with the good outer-aread carbon of the design. A racket with a bag that is easy to swing even in outer carbon. The fore-face was compatible with adhesion, and when I put 80 on the bag side, it was very easy to use. The grip is perfect for shaking the bag. Please try it by all means. Takuto （Experience：２〜３ years）	Good grip! I bought it on Amazon. It is quite soft for the outer. The back is easy to swing to the highest and the speed comes out well.